This isn't music related, but I came upon this video on youtube and it touched my heart. It is a very important cause and represented really well. So please check it out! Thank you & ENJOY!!! Jordin Sparks is the next American Idol! In my opinion, I would have rather seen Blake win, but Jordin is good. And I am sure that Blake and some of others will have deals too. 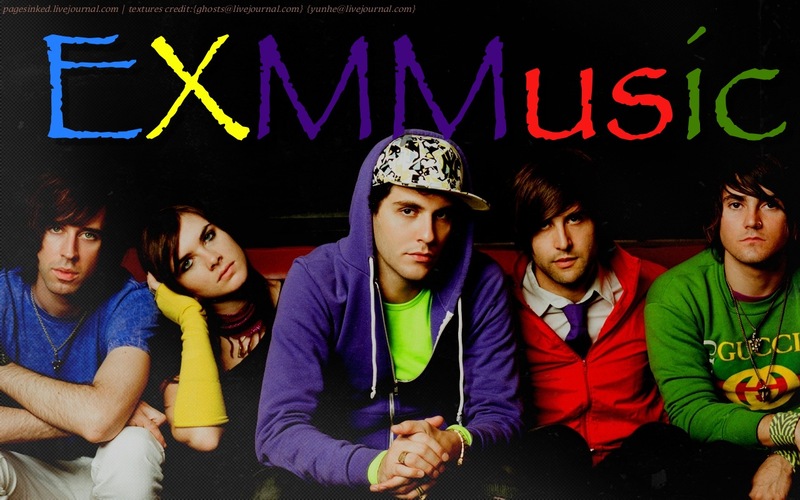 As of May 21st, EXM Music has a new record of visits and that is 1,340. All the views are from you guys and I thank you so much!! I am here to bring you guys the best music as best as I can, so thank you guys so much!!! Finally, it is Christina's turn to dive into the fragrance game. Her perfume is going to be called,Christina Aguilera. It is being launched globally this fall. Hopefully this perfume does well, which I am sure it will. You can read the article below about this. The article describes the scent and what the ad will be like. OK..it was time again for a new banner & theme. This time it was made by my friend Lui. I decided to just female artists in this one. These are ones that I really like and listen to alot. So let me know what you think of it, or if u even like it. This video isnt the best quality of videos of her performance at the House of Blues. I'm sure you all have heard about this. This video shows parts of her show[Baby One More Time,Do Something,& I'm A Slave 4 U]. I think she did pretty good considering. People are saying she lipsynchs and that show only last like 12-15 minutes. But soon Britney will be back in full force! This cd is due out May 22nd. There were 3 pictures they could have chosen that I posted before, but this is the one they chose for the cover. I think she looks amazing. Tonight on season 6 of American Idol, they were voting off 2 more people. And those 2 people were Chris Richardson & Phil Stacey. I'm quite upset that they voted Chris off, I thought he would make it to the end. Here is who is left: Blake Lewis, Jordin Sparks, Melinda Doolittle, and LaKisha Jones. I now hope that either Blake or Jordin wins. I want to thank everyone for viewing my blog all this time. Ever since I opened which was December 31st, I wanted to please everyone with good music. And as of May 1st, a new record of views for EXM Music came in....1060. I want to thank you for viewing and downloading the stuff I give out. So please come back & enjoy what I give you. THANKS SOOOOO MUCH!!!!!! !